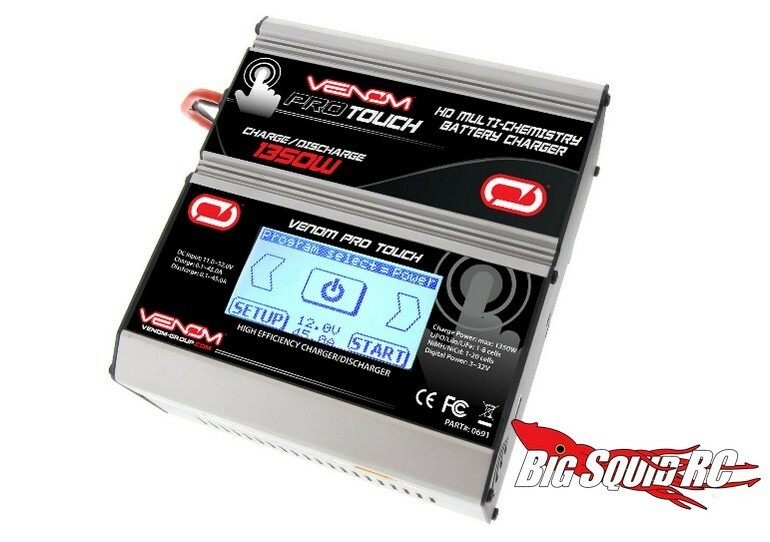 1350 Watt Venom ProTouch HD Battery Charger « Big Squid RC – RC Car and Truck News, Reviews, Videos, and More! Need a Battery Charger with serious power? If so, have a look at the new ProTouch HD from Venom. The ProTouch can charge at up to 45 amps, more than enough for most power hungry batteries. The ProTouch HD is street priced at $239, it has a part number of #0691, and they are expected to start shipping in September. Get full details at This Link over on the Atomik RC website. Catch Up on more Venom news right here on BigSquidRC.